There are only so many hours in the school day- and the more formal structure of classroom learning doesn't always allow for the level of student leadership and creative input which will cultivate future shluchos, mothers, and community leaders. That's why we've always made Beis Rivka staff and classroom space available for a range of valuable extra-curricular activities. These activities, which range from the study of Sefer HaMitzvos and other text-study groups to chesed clubs and participation in the school production, compliment the learning that takes place in our formal school hours. Yet, they also accomplish something more: they give each girl a chance to take responsibility for a part of her education and personal development in a way that isn't possible in school. Extracurricular activities also provide a chance for girls to break out of their usual social group and interact with a wider range of fellow students- going to a Friendship Club meeting, choreographing a dance, or attending a Shabbos Mevorchim gathering girls break out of their 'cliques' and see themselves as part of a larger community. One of the gifts we hope to give our children when we give them an authentic Jewish education is the life-long love of learning, and a sense that Yiddishe values are meant to be lived- not merely discussed. The Rebbe has always been our guide in tailoring our curriculum and overall campus atmosphere towards ensuring that that gift will be passed on to the girls of Beis Rivka. 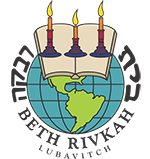 The extracurricular program at Beis Rivka plays an important role in meeting that goal- showing girls the value- and the excitement- of a Yiddishkeit that permeates our social and intellectual lives all day, and all week, long.